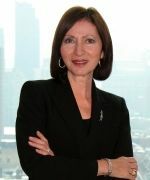 Dr. Ann Cavoukian is recognized as one of the leading privacy experts in the world. Noted for her seminal work on Privacy Enhancing Technologies (PETs) in 1995, her concept of Privacy by Design seeks to proactively embed privacy into the design specifications of information technology and accountable business practices, thereby achieving the strongest protection possible. Appointed as the Information and Privacy Commissioner of Ontario, Canada in 1997, she served for an unprecedented three terms as Commissioner. In that time, she elevated the Office of the Information and Privacy Commissioner from a novice regulatory body to a first-class agency, known around the world for its cutting edge innovation and leadership. Dr. Cavoukian is best known for her creation of Privacy by Design – unanimously adopted as an international framework for privacy and data protection in 2010; now translated into 37 languages. As of July 1, 2014, she began a new position at Ryerson University as the Executive Director of the Privacy and Big Data Institute – Where Big Data meets Big Privacy. An avowed believer in the role that technology can play in the protection of privacy, Dr. Cavoukian's leadership has seen her office develop a number of tools and procedures to ensure that privacy is strongly protected, not only in Canada, but around the world. She has been involved in numerous international committees focused on privacy, security, technology and business, and endeavors to focus on strengthening consumer confidence and trust in emerging technology applications.